André Choulika, PhD, Chairman & CEO of Cellectis, talks about his passion for applying gene editing to cell therapy approaches in cancer immunotherapy. Today we are publishing another installment in our series of video interviews called Get to Know the Company. The goal of this project is to give visitors a better understanding of the Cancer Immunotherapy ETF’s components and the important work these companies do. There are currently 30 companies in our ETF basket, and each brings a unique perspective to cancer research. Today’s interview is with the Chairman & CEO of Cellectis, André Choulika. Cellectis hopes to develop a unique twist on the CAR-T approach to immunotherapy by using gene editing technology to program special features into immune cells that are used to fight cancer. Dr. Choulika has been working in gene editing for nearly 30 years and is a leading expert in the field. You will hear him describe why Cellectis is focused on developing an “off the shelf” CAR-T therapy, what other ways gene editing might be harnessed in the future, and why the Cancer Immunotherapy ETF is important to Cellectis. 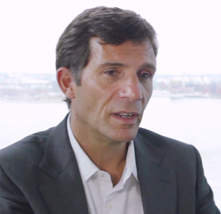 Get to Know the Company: Cellectis from Loncar Funds on Vimeo. The CNCR Immunotherapy ETF aims to support cutting edge science and we wish Cellectis the best as they try to apply gene editing approaches for cancer care.